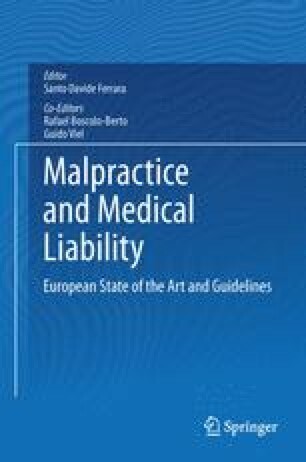 This chapter presents the European Guidelines on Medico-Legal Methods of Ascertainment and Criteria of Evaluation in cases of suspected subjective “Medical Responsibility and/or Liability” developed under the patronage of the European Academy of Legal Medicine (EALM). It includes a step-by-step illustrated explanation of approved Flow Charts, articulated on 18 sequential steps, comprehensive of both Methods of Ascertainment and Evaluation Criteria. This document is adopted as European Guideline on the issue by the EALM. Under the Patronage of the European Academy of Legal Medicine.